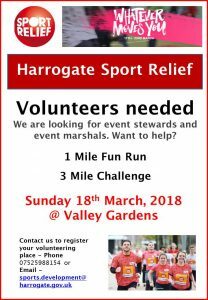 Harrogate Sports Relief at Valley Gardens. The event is completely free of charge and co-ordinated by Harrogate Borough Council. There is also the opportunity to assist us with the event and volunteer to be a steward/event marshal. As you can appreciate the event is plenty of fun and is all about people being active! 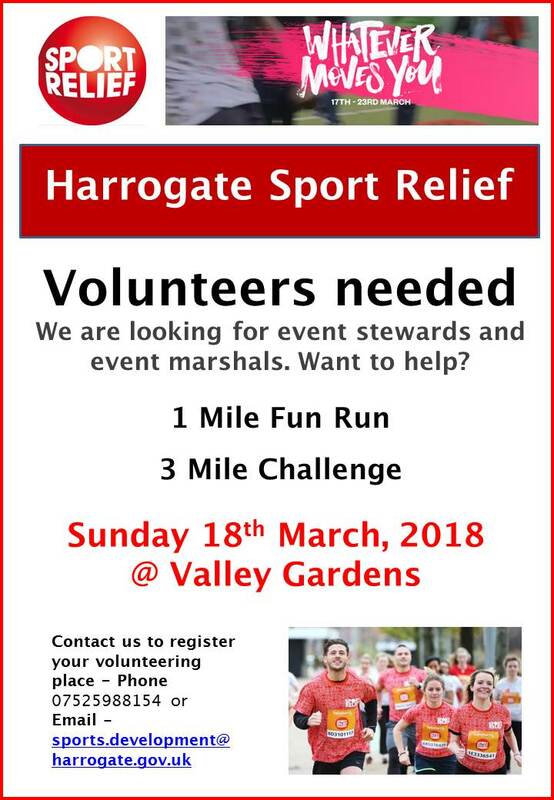 In order to enter either the 1 mile or 3 mile run we have a sign up page - https://www.eventbrite.co.uk/e/sport-relief-mile-harrogate-2018-tickets-43023303860 Tickets are free, but we are asking people to make a donation to Sport Relief.